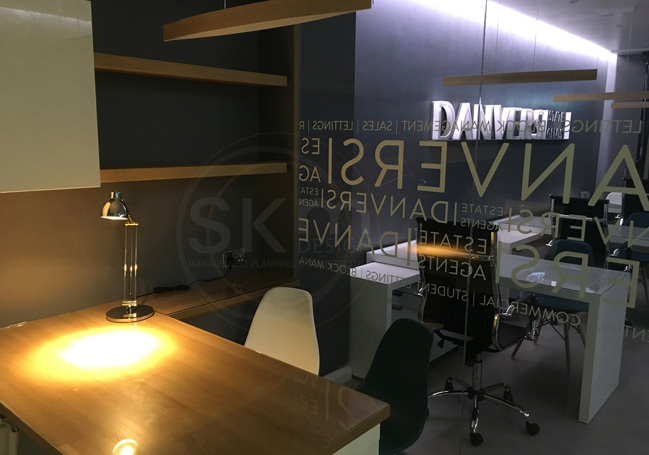 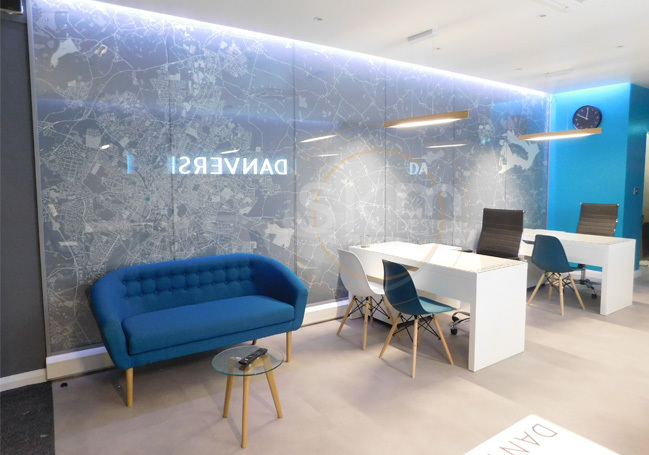 Formerly The Lettings Co., this project involved refurbishing and transforming the existing office space into something bright, inviting and modern. 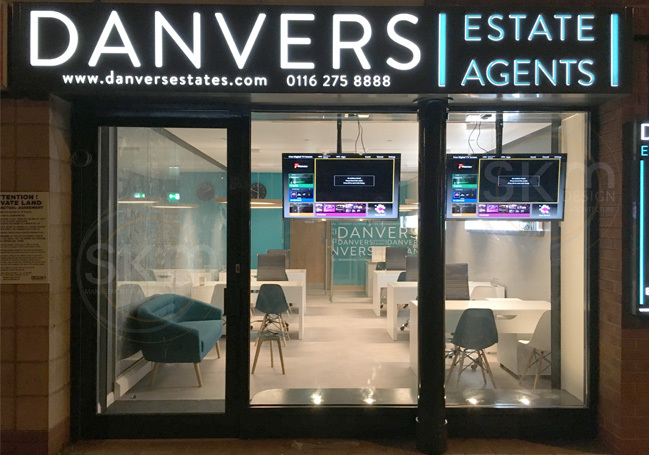 The company was renamed and rebranded as Danvers Estate Agents, for which we also designed the corporate identity and all signage. 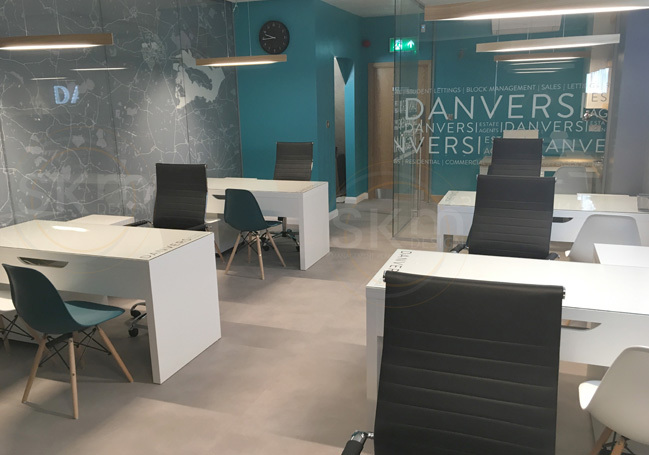 Services also included space-planning and purchase of new audio-visual equipment as well as promotional items such as umbrellas, coasters and mouse mats.